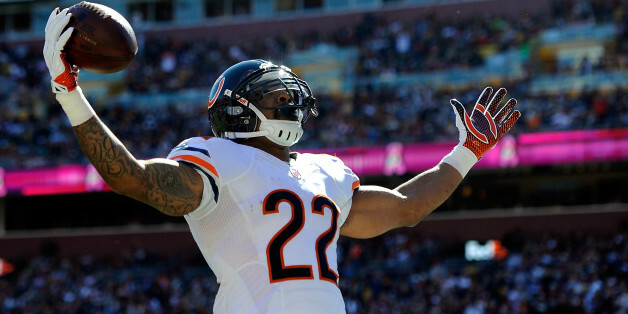 Matt Forte has been a mainstay in the backfield of the Chicago Bears. Ever since he was drafted in the second round of the 2008 NFL Draft by the Bears out of Tulane, he has been giving opposing defenses fits. And the 6’2”, 218 pound back is not only a threat on the ground, but through the air as well. He has been doing his thing in Chicago for eight season, but 2015 was his last season as a Chicago Bear. The organization has decided to go in a different direction and will not be retaining his services. Forte said his goodbyes to the fans on social media and thus begins his search for a new home next season. Plenty have speculated on where he will land next year and what kind of team fits his style. But in all honesty, there are a few things that will effect what he wants to do next. Some of that falls at the feet of Forte. But then there are also some teams that have to address where they are at this point in time. Forte is a veteran player at this point in his career. He has reached 30 years old and that is deadly for a running back. At that age, running backs usually have the wear and tear catch up to them. You tend to see guys getting banged up more and missing more games. Forte has been very durable over his career, but he did miss the second-most games in his career last season and had the lowest single-season rushing total he has had in his entire career. If he is to go somewhere, he will have to split carries with someone. For a guy that is used to carrying the load, that will definitely be an adjustment for him. The question will be is he ready to do that or not? If he is, he better be ready to take a paycut (made $9.2 million last season). Running backs are not as valued as they once were in the NFL. More teams are going to a rotation system at that position and also are going with cheaper options to run the football. Forte may be looking for that last payday, but that last one will probably not be as much as he wants. If he accepts less money to play, it will more than likely be to play for a contender. During his time in Chicago, he has not really been blessed to play with a contender. Now that we have gotten the particulars in what Forte is at this point, what he may be looking for and what he may get on the free agent market, it is time to get some teams to mind that may be able to use his services. One team that could use him would be New England. The Patriots are big in using the short passing game and Forte would be a perfect fit for them there. They do have Dion Lewis coming back next season, but the Patriots have not been any stranger to adding veteran backs. And ultimately, the Patriots would give Forte a chance to win that elusive ring. Another team that could use his talents would be the Seattle Seahawks. Of course they would have to get him on a tremendous discount due to the money they have to pay all the players they have. But if they were to get him, then they would have insurance in case of Thomas Rawls not repeating his performance next season. And they would also have a guy that could play all three downs for them with ease as a backup also. And third on the list comes the Dallas Cowboys. Even though the Cowboys may not be the contender the Seahawks and Patriots are, they could make some noise offensively provided everyone is healthy. But one thing that would scare me about that team is that Tony Romo has broken his clavicle multiple times. And at Romo’s age, clavicles don’t heal up and maintain themselves like they may have if he was younger. Forte is nearing the end of his career. Money will be the motive, but so will the chance to win a ring. The veteran running back has to balance getting paid along with going to the best fit for him to win or be effective. On the flipside, teams checking Forte may want to make sure and sign him as a luxury and not an essential piece. Signing a 30 year old running back to be the feature back is not good business at all. It will be interesting to see how things turn out for Forte. He has had one heck of a career up to this point and could help some teams. The last week of the NFL season has finally arrived. There are some teams that are glad that it is finally here. At last some can put an end to a season that was a lot less successful than they thought it would be. There are some teams that are trying to get it together for the postseason. Whether some are still trying to get themselves into the postseason or others trying to better their position, the urgency has arrived as the seasons have changed. It should be interesting to see how the end of the year effects the play on the field. Will some coast into the playoffs or will they button down the hatches and bring it for the last week? We shall indeed see on Sunday but for now, here are the General’s NFL proclamations for Week 17. The Jets are trying to ensure being in the playoffs, so expect them to play hard in this game. And with that being said, look for quarterback Ryan Fitzpatrick and wide receiver Brandon Marshall to connect at least two times for touchdowns. 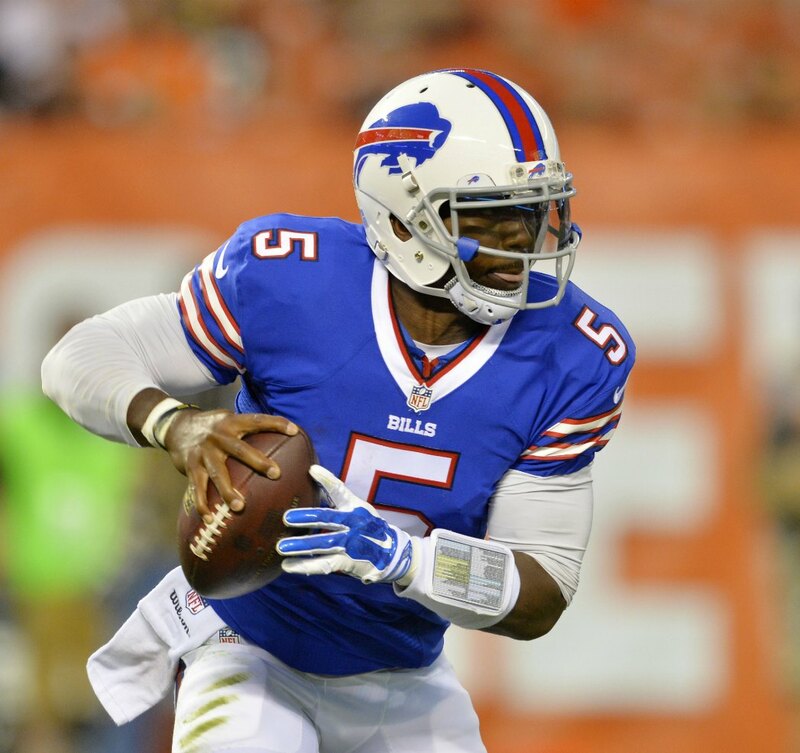 The Bills have found their quarterback in Tyrod Taylor. And he will cement that he is their quarterback by throwing for a least one touchdown and 200 yards and running for one touchdown as well. The winner of this game will not score more than 24 points. Although the Jets may be capable of scoring over 24 points, the game will have some sloppy moments and that will slow down the pace of the game. The Patriots are playing for the first seed in the playoffs, but they will still be resting some guys here. With that being said, expect them to eventually take Tom Brady out of this game. The Dolphins have not met expectations them and their fans had this season. And one guy that did not play as well as they expected is big free-agent signing Ndamukong Suh. Look for him to do his usual thing, and that means taking plays off and just being a bystander in this one. He will do more watching than making plays in this game. The Patriots, although they will take players out of this game, will still put up points against the hapless Dolphins. But they will not do it in the way that most expect. Look for them to use the ground game to the tune of running for 200 yards on the Dolphins this weekend. The rivalry is still there although both will be out of the playoffs this year. Expect at least three or four scuffles in this game. There is no love lost between these teams. The matchup between Matt Ryan (Falcons) and Drew Brees (Saints) are always good. And in this one, Brees comes in a little banged up. That nagging foot injury will harm him in this one as he throws at least two interceptions and looks less like the Drew Brees we know. The Falcons will finish the season with an offensive flurry. That flurry will definitely include wide receiver Julio Jones. Look for him to have at least 120 yards receiving and two touchdowns to cap off his spectacular season. The Bears are trying to finish the season strong after the bad start to the season. And if they are to finish this season off right, they must get good play from quarterback Jay Cutler. Look for him to get at least 250 yards passing and at least two passing touchdowns. The Lions will also be trying to finish the season off strong. And in doing so, they will follow their leader, quarterback Matthew Stafford. The veteran quarterback will be looking to cap off a solid finish and he will have at least 300 yards passing and one touchdown. Both teams will commit at least two turnovers. Both teams have been bad for a reason and that will show in this game. The Eagles have not scored at the clip they wanted to this season. And in this game with rumors abound that Tom Coughlin will be retiring as head coach of the Giants, the scoring will be even tougher. The Eagles will not score over 17 points in this game. The Giants want to send out Tom Coughlin with a solid performance if this is his last time on the Giants’ sideline. With that being said, look for Odell Beckham Jr to make up for missed time and score not one but two touchdowns in this game. The Giants will score over 30 points in this game. They are due for a big game and the Eagles are ripe for the picking in this one. The Redskins have won the division and are going to the playoffs. But that doesn’t mean they don’t want to take it to the Cowboys. Look for quarterback Kirk Cousins to have at least two touchdown passes and throw for at least 250 yards. But not only will Cousins get it going, but so will wide receiver DeSean Jackson. Look for him to have at least three receptions for a total of at least 100 yards receiving and one touchdown. The Cowboys offense has been struggling. And most of that has to do with uneven quarterback play. Look for this game to continue the bad play offensively as the Cowboys will not score more than 16 points in this game. The Indianapolis Colts will be starting Josh Freeman at quarterback. No that is not an early April Fool’s Day joke. The fact that he will be starting says something about the ability of the Colts’ offensive line to protect their quarterback. And in this one, Freeman will see what Matt Hasselbeck, Andrew Luck and Charlie Whitehurst saw. He will be sacked at least four times and will be lucky to escape this game unscathed. The Titans are not going to be the only one getting after the quarterback though. They have not exactly protected the quarterback well either. And with Mariota out, Zach Mettenberger will be sacked at least four times. Seeing that both quarterbacks will be under duress the entire game, look for this game to have no flow at all. And that means that there will be little scoring in this one. The first team to 20 will win this game. The Ravens jumped up and beat the Pittsburgh Steelers last weekend at home. That win may have made the Ravens look good, but it also caught the attention of the Bengals. Look for Cincinnati to come out focused and that means they will be putting up at least 35 points in this game. In those 35+ points, look for the Bengals to raid through the air. That means AJ Green will be having a good time toasting the Ravens’ secondary. Look for him to get at least 140 yards receiving with two touchdown catches. The Ravens will have at least one highlight in this one and that will be Kamar Aiken. The young Ravens receiver needs 132 yards to get his first 1,000 yard season receiving. Look for him to get that in this game, as the Ravens will be playing from behind all game long and having to pass the football. The Steelers’ offense looked asleep at the wheel last weekend and they lost the game they needed badly. Although it may be too little too late, the Steelers offense will come out and follow the lead of their leader, Ben Roethlisberger. The veteran quarterback will throw for 300 yards and three touchdowns. The Browns will be starting backup Austin Davis in this game versus the Steelers. And for a defense needing a break, they just got one. Davis will throw at least two interceptions in this game versus a defense that has struggled this season. The Steelers will put up at least 30 points in this one. Even though it may not even matter in terms of their playoff hopes, this game will help get the bad taste out of the Steelers’ mouths after last week’s game. The Texans have come back from the dead to push towards the playoffs. To cement it, they need a good win versus the Jaguars. And that all comes down to the defense and how they play. Look for the Texans, behind JJ Watt, to get at least two sacks and one interception in this game. The Jaguars have been explosive in the passing game. And knowing the situation that awaits them, expect them to try and play the role of spoiler in this one. Look for Blake Bortles and Allen Robinson to connect on two huge plays of more than 30+ yards. The Texans will have multiple running backs touch the football in this one. Look for them to have at least two of those running backs score touchdowns in this game. The Raiders have been dangerous offensively this year. But in this one, the only danger will be Carr throwing interceptions in the direction of defensive back Marcus Peters. The opportunistic defensive back will get at least two interceptions in this game, as he continues his ball-hawking ways. The Chiefs have been impressive offensively over the last couple of months. And in this one, look for them to take advantage of the Raiders secondary (minus Charles Woodson of course). Jeremy Maclin will have at least 100 yards receiving and one touchdown. He has been everything they have needed in Kansas City this season. The Chiefs will score at least 30+ points in this game. The Raiders have gotten better, but this game they are running into a Chiefs team that is looking to finish strong. The Broncos clinched their playoff berth last week, but they still have work to do. Winning this game could help them, so expect them to come out with energy on both sides of the ball. And being that the Chargers have had protection issues all season, look for the Denver defense to tee off on the Chargers offense. With that being said, the Chargers will probably be giving up at least 4 sacks in this game to Denver. Denver offensively got on track last game. This time, they started slow and ended fast. That trend will more than likely continue this week, as Brock Osweiler will finish with two second-half touchdown passes in this one versus the Chargers. The Broncos will not only terrorize Phillip Rivers by sacking him, but they will make him pay for errant throws. Look for the Broncos to take one of Rivers’ mistakes back to the house for a touchdown. The Carolina Panthers took their first loss last weekend and many came down on them. Well, this week will show that it only thickened their resolve. The Carolina Panthers will come out and score at least 28 points this week as they recover offensively from one of their worst games of the season. The Bucs have been up and down all year long. But in this one, the stock will be pointing down. The Panthers will be fired up defensively and that will lead to the Bucs committing at least three turnovers in this game. The Bucs will not score over 10 points in this game. It may be the end of the year for the Panthers, but they will be fired up. The Seahawks and Cardinals will both be in the playoffs. Expect some players to make early exits because both are already in the playoffs. The Cardinals will not score more than 24 points in this game. The Seahawks will be as aggressive as they always are, but they will start shutting it down and that will change the outlook of this game. The Seahawks need to see what they have in their running game. And after this one, they will be glad to have Marshawn Lynch coming back next weekend. Christine Michael will not do much in this game. He will have only around 30 yards rushing and will not score a touchdown. The Rams had a big win versus the Seahawks in Seattle last weekend. And in this one, they will try to finish the season strong. Look for them to come out and put it to the 49ers to start the game. The Rams will score at least 20 points in the first half in Santa Clara. The 49ers will be trying to finish the season strong as well. And the main guy that will be trying to leave a lasting impression is quarterback Blaine Gabbert. Look for him to come out and throw for 200+ yards and one touchdown along with one interception. The Rams and 49ers will have at least one scrum in this one. Both teams are physical and that can end up spilling over beyond the whistle too. The Packers and Vikings will be playing for the NFC North title. With that being said, look for Aaron Rodgers to get it going to the tune of 300 yards passing and 3 touchdown passes. The Vikings have been playing well, but there is always the legend of Lambeau that happens to get teams. And in this one, the Vikings will come out offensively and not play to their standards. Look for the offense to score under 17 points. The Vikings and Packers will both give up at least three sacks in this game. Both defensive front sevens will have a good time trying to make things happen in this one. The season ends on all these division games. The intensity will be high in a lot of them, but in some there will be no energy at all. The end of the season is finally here and the postseason is now coming up quickly. 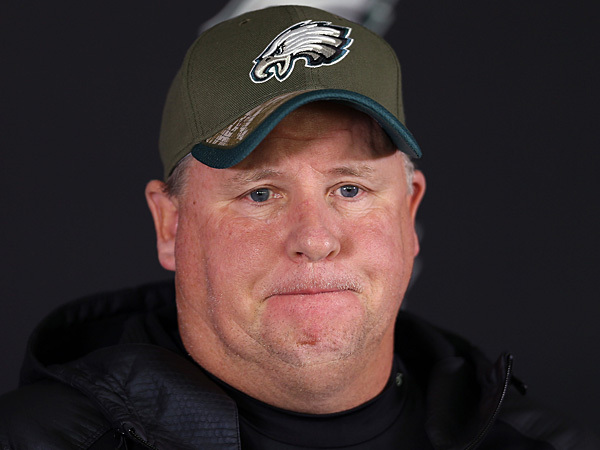 The Philadelphia Eagles entered this year under total control of Chip Kelly. The former University of Oregon head coach took over the general manager duties in his third year with the Eagles after back-to-back ten win seasons. But after some head-scratching trades and signings along with some underwhelming play, the Eagles now sit at 6-9 going into the last game of the season. The Chip Kelly experiment did not turn out as it was expected going into year three and with that, there was some blowback. Per ESPN’s Sal Paolantonio, Eagles president Jeffrey Lurie wanted to strip Kelly of his personnel control. After all, Chip traded away running back LaSean “Shady” McCoy for banged up linebacker Kiko Alonso, let dynamic wide receiver Jeremy Maclin walk in free agency and signed cornerbacks Byron Maxwell and running back DeMarco Murray. Besides the trade of quarterback Nick Foles for quarterback Sam Bradford (which was somewhat successful), all of his other moves were not successful. Chip apparently did not want to give up the personnel control. And when he did not do that, Lurie called his bluff. Chip Kelly is now out as the head coach of the Eagles and the team that thought they had their successor to Andy Reid is looking for a head coach again. There are many candidates that are out there, but here are three that could be on their radar. The first call Lurie could make is to Cincinnati. No, he is not going to be speaking to Marvin Lewis and trying to bring him to Philly. The man he should be looking to speak to there is offensive coordinator Hue Jackson. Under Jackson’s tutelage, the Bengals are averaging 26 points per game this year. And each year he has been there, they have gotten better and better offensively. The good thing about Hue is he has head coaching experience and his offenses have been known to be versatile. His addition in Philly would be huge for DeMarco Murray. Hue likes to run traditional running formations with a fullback and that would allow Murray to run more downhill like he is accustomed to. But along with the traditional formations, Hue can also bring in the explosive formations with three or four wide receivers and is also used to having wide receivers that he can flex out in the slot (Philadelphia has Zach Ertz that he can use that way). Whatever he has offensively, he makes it work and gets the most out of it. And most of all, he would cut out some of the empty possessions that the Eagles had all this season. The one question mark about Hue would be who he would bring in as defensive coordinator. That would be huge for the Eagles due to them being in a 3-4 for the last three seasons. But Hue is not the only offensive coordinator out there that people are going to be looking at. Chicago Bears offensive coordinator Adam Gase was the hot name on the coaching circuit last season when he was calling plays for Peyton Manning and the Denver Broncos’ offense. But unfortunately for him, he did not land a head coaching gig and ended up following John Fox to Chicago. Some thought some of the shine would wear off, but he has still been solid as an offensive coordinator in Chicago. The best thing he has done in Chicago is coaching Jay Cutler. The veteran out of Vanderbilt is having one of his best seasons (interception-wise) in four years. Gase would instill an offense that would be similar to the one that Chip Kelly ran in terms of pace and getting rid of the ball quickly. But the one difference is he uses the running game better than Chip does. That would help utilize DeMarco Murray more and also help the offense and whoever is quarterbacking that team next season. And the defense more than likely would stay in a 3-4 since that is what he is used to having. The one question always about Gase is how smart is he and did the quarterbacks he had make him look better than what he is? Are the Eagles willing to hedge their bet financially that he is the creator of the system? Only time will tell. The Eagles had problems offensively this season, but they did have some issues defensively, especially with their defensive backs. Teryl Austin is a former defensive backs coach in his career and he also is the defensive coordinator of the Detroit Lions. The defense was excellent last season under him when he had defensive tackle Ndamukong Suh and crew running wild up front. This season, they got off to a rough start, but they were able to get it going this season down the stretch. One thing that Austin would bring to the Eagles was a sense of urgency at all times. His defenses always hustle and play at breakneck speed. Adding him to this organization would mean a switch of defenses (from the 3-4 to the 4-3), but it would also mean that there would be a former defensive backs coach there to maybe help bring the Eagles defensive backfield, which has struggled the last two seasons. If he could solve that and then keep the rest of the defense on par, then the Eagles may be solid there. The one question (along with who will be playing quarterback next season in Philly) will be what will the offense look like? Will he run more of a power offense to support a physical defense or will the offense be something of a wide-open offense. The offensive ideas that he could potentially tell the Eagles brass (should he get the call for an interview) could make or break his candidacy for the Philadelphia job. But either way, he would be a solid hire due to his infectious energy and his accountability he holds players to. These three candidates would fit in Philly. Of course there are some question marks about them, but there are also some positives that they will bring to the Eagles organization. And most of all, each hire has something that will help the prized free agents the Eagles signed last offseason. The reality is Murray and Maxwell are not going anywhere anytime soon. You may as well bring in a coach that can help maximize their abilities instead of letting them waste away and having to eat all that guaranteed money. It should be interesting to see who they hire next. But as far as the Chip Kelly experiment, it all went horribly wrong once they gave a man that had won nothing absolute power. It’s Christmas time and kids around the world are unwrapping gifts from under their Christmas tree. Some got gifts they were hoping for while others got unexpected surprises. All in all, the gift of giving was in full swing. In that spirit, every NFL team is in need of something. So why not gift them a few things that they need? Here is the list of gifts the General would give to NFL teams going into the end of the regular season. The Cardinals are a dangerous team heading into the playoffs. They have multiple weapons on offense and their defense can put pressure on you from all angles. Unequivocally, their best playmaker was defensive back Tyrann Matheiu. But unfortunately, the third-year defensive back tore his ACL in the fourth quarter against the Philadelphia Eagles. The Cardinals are a still a threat to win the NFC, but that threat is less without Matheiu. If only they could be gifted a healthy playmaker like him at this time. Matt Ryan has always been said to be one of the great young quarterbacks in the NFL. But this year, he has definitely struggled. He is near the top in interceptions thrown in the NFL and he has just been off ever since the hot start by Atlanta. If he had some better decision-making, then maybe the Falcons win some of those games instead of taking a loss. The Ravens have struggled this season. They have also been hit with key injury after key injury. They have lost their top pass-rusher, wide receiver, quarterback and running back this season. Not many teams can overcome that one. Maybe they would have been better with some of their key pieces healthy. But all of that is pure speculation at this point. The Buffalo Bills are definitely a talented team. But their issue is they show up inconsistently. If they were a solid team, they would have been in the playoffs at this point. But instead, they are on the outside looking in. The key word is consistency with them and they have yet to find it all season long. The Carolina Panthers have had a storybook season so far. They have won scoring a ton of points and won scoring very little. It just seems like they have the “it” factor. Cam Newton has stepped up as a passer and that is huge for Carolina. But he would probably much rather be throwing the football to Kelvin Benjamin than Ted Ginn Jr. The speedy veteran is having a career year, but he still has questionable hands and Benjamin was the closest thing they had to a sure thing at that position. Hopefully that does not catch up to them in the playoffs. Looking at the Bears, they are not badly set up offensively. Jay Cutler has not played bad this year for the Bears and Alshon Jeffrey has been solid this season. But on the defensive side of the ball, there are not many playmakers there. Besides Darnell McPhee, not many playmakers you can speak of there. Hopefully for them, they are able to bring in some defensive playmakers this offseason. They need them sorely. The Bengals have been great in the regular season for a while now. That used to be something that could never be uttered ever. But now, the Bengals are a perennial participant in the playoffs. Making the playoffs is not enough anymore for the Bengals, as they have lost every playoff game they have had since Lewis has taken over there. For him, it is imperative that they get a win in the playoffs soon. If he doesn’t, he could potentially get the ax. The Browns have not been relevant ever since they reappeared in the NFL in 1999. And the most recent edition is a group that is much in disarray. It seems the front office and the coaching staff cannot ever get on the same page. So for them, a moment of clarity is needed. Maybe with that moment can come some people that actually can be on the same page and build that organization. If that moment never comes, they will continue to be known as “The Mistake By The Lake”. The Cowboys seemed like they never could get it going this season offensively. They had star wide receiver Dez Bryant get injured early and quarterback Tony Romo was injured early also. He meant a lot to that team because they have only won one game since he has been injured. The Cowboys are now on their fourth quarterback and they would do anything to have their star QB back. Alas, the Cowboys will go from division champs to potentially the cellar dwellers in their division in one year. The Denver Broncos were one of the most potent offenses in the NFL last season. They could get it done whether it be Peyton Manning throwing touchdown passes or their running attack chewing up yardage. But John Fox and his coaching staff were let go after the season in favor of former Houston Texans head coach Gary Kubiak. Ever since he has been there, he has changed the offense and not for the better unfortunately. The offense has not been consistently firing on all cylinders all year and if it were not for their defense, the Broncos would be in trouble. And no matter if it were Peyton Manning or Brock Osweiler, there is just that learning curve that it takes to get comfortable in a new offense. Maybe Denver will get consistent one of these days offensively. The Detroit Lions had a tumultuous start to the season. They lost six straight games and then there was a shakeup in their coaching staff and their front office. In all that, the Lions have played better since the changes have happened. But honestly, this franchise has no direction at this present time. Maybe with the next hires in their front office and coaching staff they will find some direction and be able to move forward. The Green Bay Packers have had their issues offensively this year. Some would pin those issues on the loss of wide receiver Jordy Nelson. But their issues are much deeper than the loss of a veteran wide receiver. The offensive line has not been what it usually is. You can consistently see quarterback Aaron Rodgers running around trying to make plays while avoiding defensive players coming for him. A quarterback like Rodgers deserves to have someone consistently block for him. And if the line could block more consistently and the running game show up every week, the Packers may be a more consistent team. The Houston Texans are sitting in first place and much of the credit (at least defensively) should go to JJ Watt. He has fought through all kinds of things to still have an impact on the game. But the thing that is amazing is he has had no consistent threat opposite him most of his career. If they could only find someone to consistently be a threat along the defensive line with Watt, the defense would be even better than they are right now. The Colts have paid many people along their offense. They brought in veteran wide receiver Andre Johnson and running back Frank Gore. They even gave an extension to wide receiver TY Hilton. But they have never really addressed their offensive line. And because of that, they now sit with two banged up quarterbacks and an offense that has been very inconsistent. Maybe they should look at the guys up front when it comes to spending money next offseason. The Jacksonville Jaguars have made some strides this season. Their young players have stepped up. Allen Robinson has become the receiver they thought he would. Allen Hurns has been excellent in his first two years. And quarterback Blake Bortles has taken a giant step forward. Defensively, they have the pieces, but they are missing one crucial element. The Jaguars need a consistent pass rusher that strikes fear in the opponent. Maybe this offseason, they will be blessed with one. The Kansas City Chiefs were known as a team that ignored their wide receivers when it came to the endzone in 2014. Last year they did not have one touchdown to their wide receiver. Coming into this season, they acquired wide receiver Jeremy Maclin from the Eagles to bolster that wide receiver corp. Maclin has done well for Kansas City. But for the Chiefs to get better, they need another wide receiver to expand their offense. If they are able to find that playmaker opposite Maclin, then watch out for what Andy Reid can do with them. Let’s be honest. Ndamukong Suh has not had the impact that he was thought to have when he signed that megadeal in Miami. He has been seen loafing on plays and there have been reports that he has “gone rogue” a few times on the field. I don’t know what the Dolphins thought was going to happen when they signed him, but they have been utterly disappointed and are wishing they had a warranty on Suh so they could trade him in. The Vikings have started to make strides towards getting it back on track there. They got Adrian Peterson back and he returned to form. But unfortunately for them, their wide receivers have not panned out like they thought. The trade for Mike Wallace was not as profitable as they thought and rookie Stephon Diggs has turned out to be their best playmaker. The team obviously needs another guy there to help Teddy Bridgewater and that passing game. If they get that added weapon, then the Vikings could be even better offensively. The Patriots are always a perennial title contender. But this year, the team has had some health issues. Julian Edelman is currently out injured (although he is practicing now) and running back LaGarrette Blount is out for the year with a hip injury, joining third-down back Dion Lewis (torn ACL) on injured reserve. If the Pats were fully healthy, the team would probably still be undefeated and even more dangerous. But now they are not as dangerous offensively and they need some players to step up. The New Orleans Saints have not exactly been where they thought they would have been this season. The team has struggled and they will not be making the playoffs again. One piece that was supposed to make them better was cornerback Brandon Browner. He was brought in from New England to bolster their secondary, but he has nothing but create drama. The veteran corner set a record for most penalties in a season this year and has been a disruption for the team. If only the Saints could have seen the future before they signed him. The New York Giants appear to be heading to another season sitting at home instead of being in the playoffs. They had a bunch of chances to make the situation better for themselves, but they just could not close the deal. If the Giants just could have held on to the leads they had in fourth quarters this season, they would be talking playoffs right now. But instead, they invented ways to lose in football’s most important quarter. The Jets are in the playoff race this year and could make the playoffs. And when you’re in that situation, there is always the thought of what games got away from you. The one that got away from the Jets was the game versus the Eagles earlier this season. They just seemed to be not in the game and when they tried to make a comeback, it was too late and the Eagles had the game at hand. If they had won that game, they would not be in the predicament they are in right now, scratching and clawing for a playoff spot. The Oakland Raiders are trying to get it right. The progress is there. Khalil Mack is a wrecking ball defensively and the offense has definitely got the right pieces, led by quarterback Derek Carr. But as far as defensive backs, the Raiders need help there. Safety Charles Woodson was the lynchpin back there and took care of a lot of mistakes that were made. But he is retiring after this season and they will need someone to replace him. Along with that, the pieces they have there are not ones that prove to be a solid secondary. The Raiders may be shopping for cornerbacks this offseason. The Philadelphia Eagles have plenty of issues going on that have affected their season. Two of them happen to be players they brought in to make them better. Byron Maxwell was paid handsomely to be their shutdown corner. He has proven not to be that shutdown corner. And although he has had some good moments, he has had others that make you wonder whether it was him or the Seattle defensive scheme. Offensively, Murray never fit the offense that Chip Kelly ran and it showed. He is more of a North/South runner in a scheme that does not cater to that at all. If they could have saw the future, they surely would have avoided these two in free agency. The Steelers have a high-octane offense and they have a defense that is growing with each week. But unfortunately, some of the adjustments and calls down the stretch from the coaching staff leave things to be desired. For example, the Steelers had the game won versus the Denver Broncos when offensive coordinator Todd Haley inexplicably called a pass play that was intercepted by the Broncos’ Brandon Marshall. Denver ultimately lost the game and could not capitalize on the gift, but these sort of gaffes and inexplicable coaching decision have happened a lot this year. If the Steelers could clean these decision up and continue to grow as a team, they would give some team fits come playoff times. It seems like the Chargers and the city of San Diego have been fighting over a new stadium for decades at this point. News is out that the team may be moving to Los Angeles with them getting the new stadium that they craved so much. The move still has to be voted on by the owners in Houston in January, but it seems like the stadium questions may finally be coming to an end for the Chargers and the city. The San Francisco 49ers season has been painful. They lost a few players to retirement and others to free agency. And all the while, the team did not really replace those players who left. And this season has some remembering the days when Mike Nolan and Mike Singletary were coaching the team. It is an endless nightmare that seems to have no end in sight currently. For the sake of the 49ers and their fans, they are hoping it ends soon. The Seahawks are soaring right now and their offense is the one leading the way. Russell Wilson is playing at a level he has never played at before. However, the secondary needs to get it together like they have in years past. There have been some breakdowns that normally did not happen in past years. If they can get that together for the playoffs, then all is well. But that has to be alarming though. And it has to be fixed when crunch time comes around. The Rams thought they solved their quarterback issues when they traded for Nick Foles from the Eagles. But unfortunately, he has not been what they thought he would be and has been benched in favor of Case Keenum. But let’s not be fooled here, Keenum is not the answer either. If this team had a solid quarterback to depend on, then they would be ready to take the next step. Until then, they will continue to be pretenders. The Tampa Bay Buccaneers have made some improvements this season. The offense has become more solid and the running game has gotten better. Defensively, they have had games where they have looked solid and others where they have been missing in action. One thing that would make them more solid is a consistent pass rush. If they are able to add that and maybe more cornerback help, then the progression of this team can continue. The Titans drafted quarterback Marcus Mariota with their first round pick this season and he made some headway as a starter. But he also was taking a lot of hits this season behind a makeshift offensive line. In order to protect their investment, the Titans need to invest in the offensive line and that starts in the offseason and in the draft. Once they do that, then maybe the offense will get better. The Redskins have been surprisingly good this season. Many did not expect this, including me. But they are in control of their own destiny. If they continue to win, then they will be in the playoffs. But one thing they have overcome this season is consistent pressure up front. If they had that this season, they would be better. But going forward, that would be an investment worth making for them. Merry Christmas to all and hopefully your NFL teams accept the gifts that await them. They sure could use them. Week 16 is upon us and many teams have called it a season at this point. There are some that will be sitting players, trying to position themselves for draft position. And while some teams will still play their regulars, we all know they are trying to get that best draft position available. On the flip side, there are some other teams that are trying to clinch a playoff spot this weekend. And while some may lose, there will be some that land in the playoffs because of what another team does. The difference between who wins or loses could be one play of ever one player. Without further ado, here are the General Proclamations for Week 16 in the NFL. The Oakland Raiders took a loss last week, but they stuck around with the Green Bay Packers. Thanks to quarterback Derek Carr, they will be in this game from the jump as well. Expect Carr to have at least 300 yards passing and at least two touchdowns. The Chargers got an emotional win last week in what some expect to be their last game in San Diego. Look for them to have an emotional letdown this week, as they score 17 points or under versus the Raiders defense. There will be a fight in the stands between Raiders fans and Chargers fans. Both are repping California and if these fans get rowdy like Raiders fans do when they see 49ers fans, then this may not be a pleasant experience for those that are not involved. The Redskins have been getting consistent offensive play as of late from quarterback Kirk Cousins. Well, look for him to take a make some shots in this one as well. Expect him to have at least 250 yards receiving and two touchdowns. The Eagles have been inconstant all season. And in this game, they have a chance to strike back against the Redskins. Unfortunately for them, they will be mentally exhausted coming into this one and it will cost them. The Redskins will have at least three sacks in this one. It seems like they have not had any consistent pressure on the opposing quarterbacks. That must change for Washington as I have an idea. The Steelers showed the Broncos Lethal Weapon 3 with their wide receiver corps. In this one, the Ravens better put on their track shoes. Big Ben will throw for over 315 yards two touchdowns. The Ravens are depleted offensively and that is not good going up against the Steelers. Look for the Ravens’ offense to have at least two turnovers against Pittsburgh. The Ravens will score less than 14 points in this game. There is simply nothing there that scares the Pittsburgh defense. The Bills and Cowboys are essentially done when it comes to the playoffs. So all bets are off as to what will happen. But one thing we can look forward to seeing is Dallas quarterback Kellen Moore throwing at least two interceptions. The Bills offense has been in good hands this season under quarterback Tyrod Taylor. In this one, look for him to throw for over 200 yards and run for a little under 100 yards. The Bills and Cowboys will combine to score around 40 points. The Bucs were looking solid until last week’s game versus the Rams. In this one, look for them to get back to having some success and that will start with the running game. Doug Martin will run for 150 yards and one touchdown in this game. The Bears have had success this season when throwing the football in the direction of wide receiver Alshon Jeffrey. In this one, look for the Bears to throw his way early and often to the tune of 7 receptions for at least 115 yards and one touchdown. The winner of this game will win by at least 15 points. Both of these teams have not shown consistency when coming from behind. The Lions have been playing a lot harder since they made their changes organizationally and coaching-wise. And in this one, look for their defense to have a good game to the tune of at least one interception and holding the 49ers to under 250 yards of offense. Linebacker NaVarro Bowman has been very good for the 49ers this year. Expect that to continue in this one, as he will have double-digit tackles in this one, including a tackle for loss. The Lions will be out to at least a 14 point lead at the end of the first half. The Niners have shown a propensity for getting down big at halftime recently and there is no indication that trend will be changing anytime soon. Roddy White had something to say about Panthers cornerback Josh Norman this week. The veteran wide receiver spoke on Norman and it was not glowingly at all. Well, Norman paid attention and responded, but let’s not look for White to respond on the field. Roddy will not have three receptions and he will not have over 30 yards at all. The Panthers have been making it happen all year long in different fashions. But in this one, look for the Panthers’ defense to come out strong in this one. They will not allow the Falcons to score over 14 points. The Panthers have got a career year out of wide receiver Ted Ginn Jr. In this one, look for him to have another two touchdown catches and go for over 100 yards receiving again. He and Cam Newton have been special through the air this year. The Colts’ season is on the brink, as they have fallen out of first place in their division and there is no guarantee they will recapture it from the Texans. In this one, expect them to play desperate, especially offensively. Look for them to put up at least 25 points on offense this week. The Dolphins looked sad last week versus the Chargers. One of their major things that has hurt them is not giving the football to running back Lamar Miler. In this game, look for him to get at least 20 carries to get a good lather going. The Dolphins have been horrible in stopping the run this season. Look for that to continue as veteran running back Frank Gore goes for at least 100 yards rushing against the Miami defense. The Patriots have been making it happen despite losing pieces week after week. Look for Brady to make it happen again this week with the running game. Brandon Bolden will get at least 100 yards rushing against the Jets. The Jets have been efficient offensively this season and that comes directly from the quarterback play of Ryan Fitzpatrick. In this one, look for him to have a good game to the tune of 250 yards passing and 2 touchdown passes. Expect this game to go down to the wire between these two, as the Jets have gotten better since their last meeting. Marcus Mariota will not be playing in this game. With him out, Zach Mettenberger will get the start. And like usual, he will be a statue back there for the Texans to topple. Expect them to get at least five sacks of Mettenberger in this game. The Titans may have had issues offensively this year, but they have not been bad defensively. Look for them to get at least four sacks of their own against Houston and quarterback Brandon Weeden. This game has the potential to be ugly. And by ugly, I mean a low-scoring bore of a game. Get other activities ready during this one. It could be more boring than watching grass grow. The Browns have been letting Johnny Manziel start at quarterback. The premise is they have to see what they have. And against the Chiefs, they will see what they don’t have. Manziel will throw at least two interceptions and will fumble the football once. Kansas City has been rolling, but this one will be a little tougher for one reason or another. Look for them to have struggle to reach 20 points in this game. The Chiefs will go back to being the Chiefs in this one. They will not have a touchdown scored by a wide receiver in this game. The Jaguars lost a close one to the Falcons last week. But in this one, expect them to play a little better offensively. The tandem of Allen Robinson and Allen Hurns at wide receiver along with quarterback Blake Bortles will have the Saints putting up at least 30 points in this game. The Saints offense may have some issues this week with Brees reportedly having a foot injury. Look for the running game to be given more chances. But even with that, the Saints will not rush for more than 150 yards. The Saints will get booed this week at home. This game has the potential to get ugly for them and it just might do so by halftime. The Cardinals’ offense has been dynamic this season with the multitude of weapons they have. Look for their newest weapon, running back David Johnson, to take center stage yet again. Twenty touches for 150 total yards and one touchdown is not out of the question for him in this one. The Cardinals will be missing safety Tyrann Mathieu. 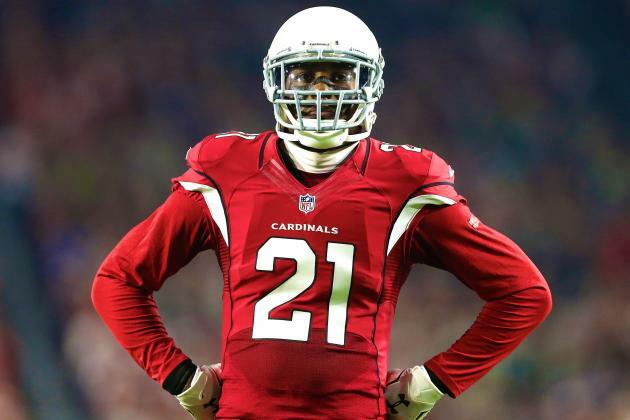 And although the Cardinals’ secondary is still tough without him, they will get hit up by Packers quarterback Aaron Rodgers for a big play. The Seattle Seahawks played the Rams in the first game of the season and they were beaten in overtime. The Seahawks have gotten things back on track as a team but they can still be susceptible to the running game. Look for Todd Gurley to get at least 100 yards rushing and one touchdown. Russell Wilson has been on fire, throwing touchdowns right and left. In this one, look for him to throw at least four touchdowns while not throwing an interception. The Seahawks defense will show a little glimpse of the past in this game, but that flicker will go away pretty quickly. Look for the Seahawks to give up at least 20 points in this one. The Vikings have been an interesting team this year. They have played good against the bad teams and been inconsistent against the good teams. Look for them to play well against New York, putting up at least 30 points against the New York secondary. The Giants will be without star wide receiver Odell Beckham Jr. following his suspension for an incident last week. With him gone, look for the Giants to find their one mismatch they have on the field, tight end Will Tye. The young tight end has shown his ability to make plays and catches and will do so in this game to the tune of 5 receptions for 70 yards and a touchdown. The Vikings and Giants will both have at least two turnovers in this game. More than likely it will be chilly in this one. And the cold weather tends to produce a slippery football. The Broncos played well in the first half week and disappeared in the second half. The Bengals were paying attention and will bring pressure all game, trying to confuse Brock Osweiler. And in this one, they will also confuse the Denver offensive line to the tune of 4 sacks. The Bengals stalled a little out of the blocks but recovered enough to win against the hapless San Francisco 49ers. But in this one, if they stumble, this one will not end well. The Broncos’ defense is for real and will be holding this offense to 16 points or less. The winner of this game will not score more than two touchdowns. Both defenses are tough and will give each offense fits all game long. This completes the General’s Proclamations for Week 16 in the NFL. It should be a fun week to watch some NFL action. Week 15 is upon us and that means there is three weeks for teams to show what they are made of. A few divisions are already sewed up, but others are still wide open. These next three games will go a long way towards showing who wants to be in the playoffs and who is ready for an offseason vacation. For a lot of these teams, the games are division games, which mean a lot. And for others, there is a chance to make a powerful statement. Without further ado, here are the General’s Proclamations for Week 15 in the NFL. Tampa Bay quarterback Jameis Winston is on the big stage for once this season. And many will get a chance to see what he can do. Look for him to throw for at least 250 yards with one touchdown throwing and running. The St. Louis Rams have been good when Todd Gurley has been running the ball effectively. Look for him to get it going I this game to the tune of 125 yards and one touchdown. Tampa Bay and St. Louis have not exactly been lighting it up on the scoreboard this year. Look for both of them to score under 25 point in this game. The Jets have been riding high under the quarterback play of Ryan Fitzpatrick. In this one, look for him to have fun at Jerry’s playhouse with at least 300 yards passing and two touchdown passes. Wide receiver Dez Bryant is the next contestant on Revis Island. This season, Revis Island has not been has treacherous this season, but neither has Bryant. Expect Dez to end up with 3 receptions and less than 40 yards receiving. The Dallas defense was dominating last year. But this year it has not been the same. Expect them to give up at least 450 yards in total offense. Amazing how things can change in one year. Carolina has been rolling behind the star power of Cam Newton offensively. In this game, his eyes must have lit up seeing the Giants secondary. Look for Newton to have at least four touchdown passes in this game. And of course, there will be four souvenirs for some lucky kids in the stands. The Giants offense will have to keep the Panthers in this one. And if the Saints proved anything, it’s that the Panthers can be scored upon. Of course the main weapon the Giants will try to use is Odell Beckham Jr. He and Josh Norman should be a good one. But expect Norman to continue to shine bright when he is matched up with Norman, holding Beckham to only two catches on him. The Giants will have to scheme to get Beckham Jr some good matchups this week. The Panthers defense will score a touchdown this week. Eli and the Giants offense have been known to give up some turnovers and this defense is one that will make them pay. The Patriots lost running back LeGarrette Blount for the year with a hip injury. But this just opens an opportunity for running back Brandon Bolden to step up. Expect Bolden to have 40 yards receiving and at least 60 yards rushing. The Titans have had one consistent offensive player this season: tight end Delanie Walker. Look for the veteran tight end to have at least five catches for 90 yards and a touchdown. Tom Brady has to be licking his chops looking at this defensive secondary. And with tight end Rob Gronkowski back, look for the future Hall Of Fame quarterback to throw for four touchdowns and no interceptions. Buffalo has been inconsistently showing up offensively. They lost in an emotional game last week in Philly. But in this one, they will put up at least 30 points. The Redskins have one of the most dangerous weapons on the field in wide receiver DeSean Jackson. Look for him to get loose one time and score a touchdown from at least 50 yards out. The Redskins finally won a road game last week and showed some toughness doing so. Look for Washington to come out lackadaisical in this one and let the Bills get out to a big lead. The Chiefs have been on fire and have even scored touchdowns with their wide receivers this year. Look for Alex Smith to throw two touchdowns to two different wide receivers in this game. The Ravens have been struggling this season and have lots of injuries as well. Look for them to continue to struggle and not even put up 13 points. The Chiefs have been solid without their starting running back, Jamaal Charles. But the running game has continued to be solid. Look for not one of the running back crew in Kansas City to stand alone. But look for them to combine for at least 150 yards rushing. Houston defensive lineman JJ Watt has been having to do things for himself this year mostly. He needs someone to step up and take some pressure off him. Jadeveon Clowney stepped up last week and made a little noise. Look for him to continue to build upon that game last week in this one with one sack, three tackles and one tackle for loss. The Colts are reeling after big loss to Jacksonville last weekend. In this one, they will not give up 50, but they will give up at least 28 points in this one versus Houston. Andrew Lucks is expected to be out again and Matt Hasselbeck will be the starter once again. Look for him to have a solid game with one touchdown pass along with 225 yards throwing. But he will have one crucial mistake due to the pressure that Houston will bring. Jacksonville has a talented duo at wide receiver in Allen Robinson and Allen Hurns. These two guys can cause serious damage. And in this one, look for both to go over 100 yards receiving and have a touchdown apiece. Quarterback Matt Ryan has been struggling the last six weeks. Look for his struggles to continue versus Jacksonville, as he will throw two touchdowns, but have at least two interceptions. The Jaguars will put up at least 38 points in this game. It seems like quarterback Blake Bortles and crew have it going offensively and this game will be an extension of the last one in which they scored 51 points. The Bears almost came back and beat the Redskins at home last week, but they came up short. Look for them to hang with the Vikings in this one, led by quarterback Jay Cutler, who will throw for 275 yards at least and two touchdowns. The Vikings need to feed Adrian Peterson this one a lot. And if he is able to get 25 carries, the veteran running back will run for 125 yards and two touchdowns. Minnesota would be smart to feed him as much as possible. The Bears have been learning defensively all season under new defensive coordinator Vic Fangio. Look for them to have some hiccups in this one, as they give up at least 30 points. The Green Bay Packers got their running game back last week with running back Eddie Lacy. Look for them to continue to feed him this week and Lacy will continue to pay them back. Lacy will get at least 100 yards rushing and a touchdown. The Raiders have been led defensively by Khalil Mack. He had a monster game in Denver where he had five sacks and in this one, he will be after Rodgers all day long. Look for him to have at least three sacks in this game. The kid has been a monster this season. Green Bay has a future Hall of Fame quarterback in Aaron Rodgers. But in this one, he will get outperformed by Derek Carr. The younger Carr will throw for more yards and throw for one more touchdown than Rodgers in this one. Johnny Manziel was solid at quarterback last week versus the 49ers. But the defense he is facing this week isn’t the 49ers. They are tougher. Look for Manziel to be sacked at least four times and he will throw at least one interception. The Seahawks offensively have been carried by quarterback Russell Wilson. Look for him to throw for at least three touchdowns in this one as he continues to try and throw his name in the MVP talk. The Seahawks will put up over 40 points on the Cleveland Browns. There are not many things that Cleveland has going for them. Quite honestly, the best thing going for them is they don’t see Seattle much because that would be cruel and unusual punishment. The big question this week for the Bengals is how will AJ McCarron do? For those that don’t remember, Cincinnati quarterback Andy Dalton injured his thumb and is out for the rest of the regular season. In this one, the young quarterback will have a tough time adjusting to starting. He will throw one touchdown pass, but he will also throw at least two interceptions. The 49ers have been pleasantly surprised by running back Shaun Draughn. Look for him to get at least 70 yards rushing and 30 yards receiving in this one. And he will score at least one touchdown. Cincinnati will not score over 20 points in this game. The 49ers defense has been tough at home and that trend could continue given the circumstances in this one. San Diego quarterback Phillip Rivers has escaped a lot of criticism over the years. But in this game, he will get some criticism. Look for him to throw two interceptions and not throw for over 215 yards. This game will not be a fun one to watch. Both team have yet to figure themselves out and it isn’t happening anytime soon for both either. The Broncos had a rough one against the Oakland Raiders and in this one it could get ugly for a minute too. Look for the Steelers to get at least three sacks versus the Broncos offensive line. The Steelers have the best wide receivers corps in the NFL. And the Broncos have the best cornerback tandem in the NFL. Three versus two leaves one guy open in this equation. With that being said, look for third wide receiver Marcus Wheaton to get loose in this one for at least 100 yards and a touchdown. After this game, there will be rumblings loud that Manning should be the quarterback again in Denver. Osweiler will not play bad, but he will not be outstanding either in this one. The Eagles got a gritty win last week. But this game will be tougher than the last one because the Arizona defense is tough. Look for the Eagles to score under 20 points in this game as Arizona’s defense travels to Philly. Carson Palmer has been solid and some are even giving the veteran quarterback some MVP consideration. In this one, he shows why he has been receiving so much praise with at least 300 yards passing and two touchdowns. The Cardinals will force a huge turnover late in the game. The Eagles have had moments where they make the big play and they give up the huge turnover. This week the Cardinals deliver the backbreaker to them late. Both teams can score. And with that being said, both will have over 30 points in this game. Quarterback Drew Brees will definitely try and do his thing in this one. He will throw at least two touchdown passes. But he will also toss a key interception. The Lions have had solid play from quarterback Matt Stafford recently. Look for him to keep it up this week by throwing for no interceptions versus New Orleans. The General’s Proclamations are in folks. Let’s see how they pan out in this week’s games. Week 14 is upon us. Only four more weeks for teams to make the move towards the playoffs or be left out. Some teams are going to make that move and make it happen to see the postseason. But there will be others that falter under the pressure of the moment. The time is now. And just like teams have pressure, players do as well. There are some that respond to the pressure, but there are others that fall to it. Without further ado, here are the General’s Proclamations for Week 14. Adrian Peterson was virtually invisible last game versus the Seahawks. Don’t look for him to be as invisible this game. He will get at least 80 yards on the ground and score one touchdown in this one. Arizona’s offense has been pretty good this season. And the impressive thing is no matter who they plug in, they make things happen. With Chris Johnson out for the rest of the regular season, look for David Johnson to make things happen to the tune of 100 yards rushing and a touchdown. The Vikings did not show up offensively last game and that was embarrassing for them (especially at home). In this one, they will come out and score at least 17 points and be more competitive. LeSean McCoy already feels some type of way about Eagles head coach Chip Kelly after his much-publicized comments following his trade from Philly to Buffalo. And in this game, he will take out his frustration on the field. Look for him to razzle and dazzle the Philly defense to the tune of at least 115 yards rushing and two touchdowns. Philadelphia really showed us all something last week with their convincing win in New England. They scored touchdowns in a multitude of fashions. This week, they will not score a touchdown like they did last week. However, one of they will make a play on special teams or defense that will have a big impact on the game. Tyrod Taylor and Sammy Watkins have been special the last couple of weeks for the Bills. And in this one, they have Eagles cornerback Byron Maxwell circled and in their sites. Look for Watkins to have at least 5 receptions (including a catch over 30 yards) and a touchdown versus the coverage of Maxwell. The Seattle Seahawks got it rolling offensively last weekend. They attacked through the air and on the ground. Look for the air assault to keep happening this week as Baltimore’s pass defense has not been that great. Look for Seattle quarterback Russell Wilson to get at least 300 yards and two touchdowns passing the ball. Baltimore’s starting quarterback, Joe Flacco, is out for the rest of the season with a torn ACL. Matt Schuab has stepped in to replace him and we all know what he is at this point. Look for him to add to his totals of giving opposing defenses a touchdown pass this week. The Pick-6 king will strike again in this one. This Seahawks will hold the Baltimore Ravens offense to under 200 total yards of offense. Last week showed us just how dominant the Seahawks can be and the Ravens offense is more depleted than any offense in football. The 49ers have been without their starting running back, Carlos Hyde, for most of the season with a foot injury. And with that happening and running back Reggie Bush out for the year, the team looked for running backs to replace them. One they found is Shaun Draughn. And in the last few games, he has been solid. Look for him to make it happen in this game versus the Browns. He could get at least 100 yards rushing and a touchdown. The Browns will be starting Johnny Manziel this week at quarterback. Finally they are going to see what they do or don’t have in him. The good thing for him is he is playing against a 49ers defense that has not played all that great on the road this year. With that being said, look for him to throw for 225-250 yards, at least one interception and one touchdown pass. This game will not be pretty. Both teams are trying to find themselves and that has led to some uneven play. There will be some good play in this one. But the overall play here will not be something that is visually appealing. The Rams got bullied last week up front by the Arizona Cardinals. Don’t expect that same thing this week from them. The Lions have run the ball well the last few weeks, but this will be where it stops. Look for St. Louis to hold them to under 100 total yards rushing in this one. Running back Todd Gurley just could not get into a rhythm last week because of the flow of the game. This week, look for him to get his touches. He will get at least 20 carries in this game and get at least 115 yards, including one touchdown run. Detroit has been exemplary defensively the last few weeks. In this one, they have a little bit of a hiccup and give up some yardage. The Titans found some offense last weekend and that was led by quarterback Marcus Mariota. He ran for over 100 yards and passed for over 250 yards as well. In this one, his numbers will not be as great. Look for him to not get near the 100 yards rushing and he will only have roughly 225 yards passing in this game. Wide receiver Brandon Marshall went bananas last weekend versus the Giants’ secondary. And in this game, he could have that same kind of impact. Look for him to go for another 100 yards receiving and at least one touchdown. The winner of this game will not score over 23 points. Both teams have had issues scoring at times and both defenses can cause problems for the offenses. That amounts to sporadic offense and that is not conducive to great offense. The Bengals have hit a little rough patch in the season. But they seemed to have righted the ship last weekend versus the Browns. Look for them to have a little bit more of a struggle in this one, as they will not top 26 points in this one. The Steelers have the best receiving corps in the NFL. And in this game, the depth they have there will be on display. Look for Big Ben to showcase wide receiver Martavis Bryant in this game, as Bryant will go for over 100 yards receiving and one touchdown. Cincinnati running back Jeremy Hill has been inconsistent this season. Unfortunately in this one, his tough season gets a little rougher. He will not top 60 yards rushing in this one and will not get in the endzone. The Indianapolis Colts were beat down last week in Pittsburgh and backup quarterback Matt Hasselbeck was injured in the process. Although he is injured, he has said he will play Sunday and in that, I believe he plays well. Look for him to get at least 300 yards passing and two touchdowns. The Jaguars offensively got it going last week despite them not getting the win. One guy that showed up for them is tight end Julius Thomas. And in this game, he will show up again. Look for him to get at least six receptions, 80 yards receiving and at least one touchdown. The Colts will score a defensive touchdown in this game. The Jaguars have had some issues when it comes to ball security and it will come back to bite them in this game just like it did against the Titans last week. The Chiefs are smoking hot right now and have vaulted themselves into playoff contention. And one player that has been doing his thing during this entire time is wide receiver Jeremy Maclin. Look for him to go off on the Chargers this week with at least 140 yards receiving and two touchdowns. The Chiefs also have been getting it done defensively. The Chargers offensively? Not so much. And that has everything to do with the quarterback there in San Diego, Phillip Rivers. The veteran quarterback has not been as good as he usually has been in the regular season. And in this one, he will definitely make something happen….for the Chiefs. Look for Rivers to throw at least two interceptions in this game. The Chargers will commit at least eight penalties in this game. With the pressure the Chiefs can put on teams offensively and defensively, the Chargers will get some holding penalties, along with some false starts and things like that. The Redskins snatched a loss from the jaws of victory last week against the Cowboys. In this one, they will continue their bungling ways while trying to figure out how to win their first road game of the season. Look for them to commit at least two turnovers and one of them be of the head-scratching variety. The Bears had trouble closing out the 49ers last week and lost the game in overtime. In this one, the offense will get it going a little bit more and that will be because of the running game. Look for the Bears to run for a total of 150-175 yards in this one. The Redskins did not have much to write home about in terms of sacks. And in this one, this will be the story yet again. Look for the Redskins to get less than two sacks in this game. Matt Ryan has had issues with consistency this year. He seemingly keeps forcing the football into spots that aren’t there. The results of those forced passes have been interceptions. And in this game, look for him to continue that trend. And of course, he will have an interception or two in this one because of it. The Panthers have had a solid running game this season with Jonathan Stewart. And in this one, he will get it going once again. Look for him to get at least 100 yards receiving and a touchdown versus the Falcons’ defense. Cam Newton has been special this season. And in this game, he will continue to trend upward in his play. He will not get five touchdown passes, but he will get at least three and will not throw an interception. Drew Brees has been hot and cold as the quarterback of the Saints this season. In this one, look for him to be cold. Brees will throw three interceptions in this game. Tampa Bay running back Doug Martin has been quietly doing well the last few weeks. And it has helped the team tremendously to have him running the ball well. In this one, he will pick up where he left off last week. Look for him to get 100 yards rushing and a touchdown versus New Orleans. The Tampa Bay Bucs will top 30 points this week in this game. The team has been playing well for a while now and have played their way into contention for a playoff spot. And New Orleans, despite their defensive play being better, is still bad defensively. The Broncos have been playing well under the leadership of Brock Osweiler at quarterback. And in this one, he will continue his string of good play. Osweiler will throw for 250 yards and two touchdown passes in this one. The Raiders have been solid offensively, but they are facing one of the top defenses in the NFL this week. Look for them to have at least two turnovers in this one. That Denver defense will make things difficult. The Raiders and the Broncos will both score less than 23 points. This game will be highly competitive and there will be some great plays made on both sides. The Green Bay Packers have been an interesting team this season. They have played well at times and awful at others. And many of the inconsistencies have been directly tied to the running game of the Packers. Look for Eddie Lacy to show up this week and run for 100 yards at least. The Cowboys have found something at running back in Darren McFadden. He has been a consistent force for them over the last few weeks. Well, that consistency is stopped in this one. Look for him to run for less than 100 yards in this game as well as not get into the endzone. Dez Bryant has suffered without Tony Romo at quarterback. That will hurt him again in this one, as he only gets four catches for 30 yards. Matt Cassel just cannot get it done and take advantage of the Packers’ secondary. The Texans were on a roll until last week’s loss. They gave up 30 points as a defense and this one they will be fired up to not give up that much. Look for JJ Watt to have at least two sacks versus the Patriots makeshift offensive line. Tom Brady has less weapons due to all the injuries. But he will still make some things happen in this one. Look for over 300 yards passing and two touchdowns from him. And he will probably throw to a guy that many have not heard of nationally. The Texans will have some familiarity with the Patriots due to Bill O’Brien being a former assistant there. And with that being said, look for Hoyer, a former Patriot himself, to make some things happen in the passing game against New England. He will connect with wide receiver DeAndre Hopkins for at least 110 yards and one touchdown. The Dolphins were playing good for a couple games after Joe Philbin was fired as head coach. But they have since reverted back to their old ways, And with that, Ryan Tannehill isn’t looking like a $100 million quarterback. But the cure for that is a bad defensive secondary and the Giants have just that. Look for Tannehill to have at least three touchdown passes and 275 yards passing. The Giants have one of the most explosive weapons in the NFL in Odell Beckham Jr. And in this game he will on full display. Look for him to get at least seven receptions for 150+ yards and a touchdown. The Giants will rush for at least 150 yards. The Dolphins have not stopped anyone in the running game this year and this will be on full display for the world to see Monday. Week 14 is about to get started and it should be good to see what happens with the teams that are in the playoff hunt and the ones that are playing out the string. Week 13 is here and teams have four weeks to get it together for the stretch run. Unfortunately for some teams, they will not get it together. But for others, they have to get it figured out and get it figured out fast. The postseason is approaching at very fast. Amazingly, there has been a lot of sloppy football this season. And as a result, there are a lot of mediocre records this far into the season. That can be taken one of two ways. The negative outlook is the league is down this year and that players are not living up to standards. But with the negative, there is always some positives. The NFL is looking like it will come down all the way to the wire once again to see who makes it and who is watching from home. This is the time where players step up and make a difference or fall back and disappear. Without further ado, here are the proclamations for Week 13. The last time these two teams played, Aaron Rodgers struggled at home against the Lions’ defense. Look for him to have another struggle this week as the Green Bay offense has sputtered along. He will throw for only 250 yards and will only have one touchdown pass. A far cry from what he was doing to start the season. Detroit Lions running back Ameer Abdullah has been getting some more time in the backfield running the football. There is no doubt that Detroit sees him as part of their future. Expect him to get at least 15 touches and he will amass 100 total yards on the running and catching the football. Expect both of these teams to not score over 25 points in this one. Both defenses have been playing well and that will coincide with the respective offenses not getting much traction on the field. The Giants have an electric talent in wide receiver Odell Beckham Jr. Earlier this season, Jets cornerback Antonio Cromartie sounded jealous when he talked about Beckham Jr earlier this year. Well, we know Beckham Jr heard it and will be ready to play. Expect him to get a matchup against Cromartie and he will definitely burn him a few times. Expect Beckham Jr to get at least 100 yards receiving and 1 touchdown. Ryan Fitzpatrick had a great game last time out against the Dolphins. And he must be foaming at the mouth to see the Giants secondary. Look for Fitzpatrick to have at least three touchdown passes on his way to 300 yards passing. Eli Manning had one of the inexplicably bad laterals we have ever seen last week when he lateralled the ball out of bounds to end the game. Well, expect him to throw one of those passes this week that makes the Giants’ fans go into a fit of rage. And when he throws it, it will be at a crucial time in the game and will be picked off by the Jets. The Arizona Cardinals have lost running back Chris Johnson for the rest of the season with a broken bone in his leg. With that being said, look for rookie David Johnson to take over and get more touches. He will get at least 115 total yards in this game along with one touchdown. The Rams have been struggling as of late and running back Todd Gurley has been absent. Well, expect him to get it going again against a team that started his rise to notability in the NFL. He will get at least 100 yards rushing and will score one touchdown. The Arizona defense got touched up a little versus the Cincinnati Bengals offense. Well, they can expect to get a little bit of a test from St. Louis and their run game this week. But eventually, the Rams will have to pass. And when they do, look for the defensive backs of Arizona to make some plays. I expect them to get at least two interceptions and three sacks in this one. Jameis Winston has been solid at the quarterback position for the Bucs over the last few weeks. And with Atlanta struggling a bit, look for him to have another solid performance. He will have at least 260 yards passing with two touchdown passes. Atlanta has been struggling as of late. And no one has been struggling more than quarterback Matt Ryan. Look for his struggles to continue as he ends up having two interceptions in this one while trying to force the ball in tight spots. The Tampa Bay defense will take one of those two interceptions that Matt Ryan will throw and will return it for a touchdown. Lovie’s defense is really starting to pick it up under his tutelage. Russell Wilson was spectacular last weekend versus the Pittsburgh Steelers, throwing for five touchdown passes. Well, look for him to pickup where he left off last week in this one. He will run around Fran Tarkenton style and throw for at least 3 touchdown passes in this game and 225 yards. The Vikings have been getting it done and their focus has been the running game. Adrian Peterson has been out of control running the football. Well, the Seahawks have other ideas in this one. With linebacker Bobby Wagner and the defensive line of the Seahawks, Peterson will be under 100 yards in this game. The Minnesota Vikings have been saying that Teddy Bridgewater is not a game manager. It even infuriated head coach Mike Zimmer when someone in the media implied that about his quarterback. Well in this game, Teddy will break out a little bit. Look for him to throw two touchdown passes and get close or surpass 300 yards. The 49ers had a tough loss to the Cardinals last week where their defense played well. But they are just a different defense on the road. They will give up at least 25 points this week and they will definitely give up more yards on the ground in this one. Chicago quarterback Jay Cutler has been solid this season. And in this one, he will have some very good moments. But Cutler will not be able to escape some ghosts of the past, as he throws at least one costly interception. The 49ers have made it a pattern of starting slow offensively. In this one, they come out fast and keep it up all the way through halftime. The Jags beat the Titans just a couple weeks ago in Jacksonville. And in that one, the Titans were right there the entire game. Look for this one to be another low-scoring nailbiter between these two teams trying to find themselves. Wide receiver Allen Robinson is a playmaker waiting to happen. And in this one, he makes a big catch for over 40 yards. The Titans secondary is the weak link of this defense and the Jaguars have the weapons to expose them there. Titans quarterback Marcus Mariota has been pretty solid this season. In this one, expect him to throw for around 200 yards and throw for at least one touchdown. And the touchdown will go to tight end Delanie Walker. JJ Watt has been a monster for the Houston Texans. But in this game, he will find it hard to get his hands on Buffalo Bills quarterback Tyrod Taylor. Look for Watt to get at least one sack, but he will be grasping for air when in the backfield a lot in this one. Buffalo Bills running back LeSean McCoy has been pretty good the last two weeks. And in this one, expect him to get it going again for the Bills. Look for McCoy to get at least 100 yards rushing and 1 touchdown. The Buffalo defense has not been as disruptive as they were last season. But in this one, expect them to get after Brian Hoyer. Look for Buffalo to sack Hoyer three or four times in this one. The Baltimore Ravens had a big win last week in dramatic fashion. But the big issue that came up again was Matt Schuab throwing another interception for a touchdown. With Brent Grimes lurking on the other side of the ball, expect Schuab to throw another interception that gives the opponent six points. The Dolphins recently fired their offensive coordinator after the loss to the Jets. In this one, the change will appear to make a difference, as Miami will score at least 25 points on offense in this one. Along with the Dolphins showing up offensively, look for wide receiver Kamar Aiken to show up in this one to the tune of 5 receptions and at least 100 yards receiving. The Cleveland Browns lost starter Josh McCown last week due to injury. And in this one, they will be starting their third starting quarterback this season in Austin Davis. The young quarterback had a good run last week versus the Ravens, but in this one he is playing a tougher defense. And because of that, he will have a long day. Expect him to throw at least two interceptions. The Bengals offensively are dangerous. They can go to any numbers of offensive weapons at any time. This week, the weapon of choice will be Marvin Jones., The electric wide receiver will have at least 100 yards receiving and one touchdown. The Bengals will score more than 35 points in this game. The Browns are struggling bad and there just seems to be no answer to how they get out of this tailspin. Add this one to the long list of games they will want to forget. The Chiefs have been on fire for the couple months. One piece that has paid dividends for the Chiefs has been tight end Travis Kelsey. Look for him to score at least one touchdown in this one and get at least 80 yards receiving. Derek Carr was clutch down the stretch versus the Tennessee Titans. But in this one, he will have a little bit more of a struggle. Look for him to be under 260 yards and he will also throw at least two interceptions. The Chiefs will score on a special teams’ touchdown. That has been all that is missing for the Chiefs at this point. The Broncos have changed since Brock Osweiler took over at quarterback. In this one, expect more of the same from the Osweiler-led Broncos offense. They will put up 25 or more points in this one. The Antonio Gates-Phillip Rivers connection was back to usual last week. But in this one, they will go back to what they have been for most this year. Look for Gates to have less than three receptions in this game. The Denver Broncos defensive line and linebackers have been really good this season. In this one, expect them to feast on the Chargers offensive line. Look for the front seven of the Broncos to get at least five sacks. The Eagles got 45 points put on them last week for the second week in a row. Look for the Patriots under the guidance of Brady to put up at least 35 points or more in this game despite missing key cogs in their offense. The Philadelphia Eagles will more than likely have quarterback Sam Bradford back for this one. But with Sam Bradford or Mark Sanchez, it does not matter. Look for Bradford to add to his interceptions total for the season in this game. The Patriots are down some wide receivers, but that won’t matter when Byron Maxwell is out there defending for the Eagles. He will get targeted and will be taken advantage of by the Pats in this one. Wide receiver Devin Funchess has been getting more and more opportunities to make plays for Carolina. And in this one, the light will finally flicker for him. He will have at least four receptions for 90 yards and a touchdown. New Orleans’ defense has been suspect all season long. In this one, however, they will step up to the plate and match the Panthers at home. Look for them to get two or three sacks and create pressure all day long. This game will be a low-scoring game between the Saints and the Panthers. Look for the first team to 18 to win the game. The Colts have been playing well offensively behind the play of quarterback Matt Hasselbeck. In this one, however, he begins to come back to reality. Look for the veteran quarterback to throw two interceptions to the Steelers. The Pittsburgh offense may be without quarterback Ben Roethlisberger. So without him, look for the Steelers to feed running back DeAngelo Williams. And when they do, he will run for at least 110 yards and a touchdown. Quarterback Tony Romo exited the game last week with a season-ending injury. And with that, any chance for good quarterback play is now out the window for Dallas. Look for his replacement, Matt Cassel, to throw three interceptions. The Washington Redskins were solid last week through the air. Look for Kirk Cousins to try again through the air, but he will not have the same type of success. Cousins will have two interceptions in this one. The Washington versus Dallas game will have a lot of energy around, but not a lot of scoring. Both teams will not combine for over 30 points. The proclamations for Week 13 are complete. Enjoy the games. Week 12 is here and there has never been a more jumbled playoff picture than there is right now. Some teams are trending upward, fighting their way back into the playoff picture. And like some teams are trending upward, there are some that are finding it hard to get a win. Coming down the home stretch, some teams have to get it together while others are trying to keep the winning formula again. Like the teams that are playing, some players are looking to rebound or maintain as well. Without further ado, here is the General’s Proclamations for Week 12 in the NFL. Mark Sanchez was deplorable as the starting quarterback for the Eagles. This week, Sam Bradford is expected to be back. If he plays as expected, there will definitely be less interceptions thrown. Look for Bradford to throw one, but that should be it. The Detroit Lions have been playing well the past two weeks. And the big issue for the Eagles is their cornerback play. With that being said, look for wide receiver Golden Tate to have a big day. Expect him to have at least 100 yards receiving and at least one touchdown. The Eagles and the Lions will have an opportunistic moment in this one. Look for both teams to have a defensive touchdown. The Cowboys got their quarterback back last weekend, as Tony Romo was trying to get back comfortable behind his offensive line. Well, this week Romo steps up the competition from the Dolphins to the Panthers. And with tougher competition, Romo may not do too well. Look for at least one interception from Romo and potentially a fumble due to the pressure the Panthers can bring. Carolina Panthers quarterback Cam Newton has been a man on fire. He threw for a career-high five touchdowns last week versus the Redskins. Well, he will not quite get to five, but three will be the magic number for him in this one. And also look for him to score a running touchdown. Josh Norman has been amazing this season at cornerback for the Panthers. And in this game, the matchup between him and Cowboys’ wide receiver Dez Bryant will be entertaining. Look for this fast-rising star to contain Dez and hold him to three catches and less than 30 yards receiving. Quarterback Jay Cutler has not been bad the last few games for the Bears. But in this one, look for him to be the guy that most know him for. His bad history there in Lambeau will haunt him as he will throw at least three interceptions. The Packers seemed to get their rhythm back last week offensively. Of course many will talk about the throws of Aaron Rodgers to James Jones. But the big thing was the running game making a re-appearance. Look for running back Eddie Lacy to make a splash in this game as he rushes for 100 yards and at least one touchdown. The Packers will score a defensive touchdown in this game. Houston wide receiver DeAndre Hopkins has been spectacular this season and was great against the Jets. Look for him to continue his great season as he goes for over 100 yards and 1 touchdown. The Saints have been trying to be balanced this year, with Mark Ingram carrying the load on the ground. Look for Ingram to run for at least 70 yards and one touchdown as he continues to be the bellcow on the ground for New Orleans. The starting quarterbacks in this game are Brian Hoyer for the Texans and Drew Brees for the Saints. You would think that Brees would have the better day by far, but not in this one he won’t. Look for Hoyer to have more touchdowns and for him to take better care of the football than Brees. The Bengals struggles the last few weeks have been widespread. But the biggest thing missing has been the pressure up front by their defense. Expect Carlos Dunlap and crew to get at least three sacks in this one as they get the pass rush revved up. The Rams have issues at quarterback. So with the issues there and the pressure that will be created by the Bengals’ defense, look for the Rams to have at least three interceptions from whoever decides to play quarterback. Andy Dalton has not been as good as he was the last two weeks. Look for him to get it going again this game with three touchdowns and no interceptions for the Bengals. Matt Ryan has been struggling of recent. The Falcons’ veteran quarterback has just not found his rhythm. Well don’t expect him to find his rhythm in this one. Look for him to throw two interceptions. The Vikings have depended on their running back, Adrian Peterson, to keep attention off young quarterback Teddy Bridgewater. Well in this one, AP becomes a beast. Look for him to go for 120 yards and one touchdown. The Falcons defense will not total more than two sacks in this game. They are tied for last in the league in sacks and this one will see them plummet even more. Washington quarterback Kirk Cousins has been erratic call year long. The Giants’ defense, just like the Redskins, has been erratic. So with those two propositions staring me in the fact, expect the Giants to get it done. Look for under 300 yards and two interceptions. The Giants offense is a ton of excitement with the likes of Odell Beckham, Jr. on the team. But the guy that is forgotten about is running back Rashad Jennings. Look for the veteran running back to have 100 total yards and one touchdown. The Giants have not had one guy stand out bringing pressure to the opposing quarterbacks. Enter Giants’ defensive end Jason Pierre-Paul. The man with the mangled hand has been exhibiting great effort this year since he has been back and this week he gets rewarded. Look for him to get at least two sacks. The Colts have been solid under the leadership of veteran quarterback Matt Hasselbeck. Expect that to continue this game as the 40 year old quarterback will have two touchdowns and no interceptions. The Buccaneers have been playing well and some of that success is a credit to the running game showing up. In this one, Doug Martin will show up but he will not show out. Look for him to not have over 70 yards rushing and no touchdowns either. Neither team in this game will score more than 25 points. Both can show up and both can also be non-existent at times. Buffalo was very close to putting EJ Manuel in at quarterback in place of quarterback Tyrod Taylor. But instead of coming out, Taylor stayed in but favored his shoulder/collarbone area. In this game, if he plays, Taylor will throw three touchdown. But if he does not, Manuel will make sure the game gets ugly for the Bills. The Chiefs have been on fire this past month/month and a half. Whether it’s been scoring or defending, they have got it done. In this game, expect them to sputter a little as they only score 17-20 points. Buffalo got a lot of hits on Tom Brady this past Monday night. Look for them to not only get hits but sacks on Alex Smith. The Bills will get at or near four sacks in this one. The Raiders were playing well up until last week. This week will continue their misery as they play against one of the best defenses that no one is talking about. Look for the Titans to hold the Raiders to 14 points or less. The Titans’ best player all season has been tight end Delanie Walker. And in this game, he will get to showcase his skills to the tune of more than 100 yards receiving and a touchdown. The Raiders and Titans will combine for at least 15 penalties. Both teams can be susceptible to penalties and can get them in bunches. The Chargers’ season has went south in a hurry. And in that, there was a shouting match between tight end Antonio Gates and quarterback Phillip Rivers. Well, this week there will be no shouting match between them as they connect on five passes for 80 yards and two touchdowns. The Jaguars were successful the last time out, but the Titans gave them chances. In this one, the Jaguars will not have as many chances because the Chargers will not commit a turnover. Blake Bortles seems to be learning with each passing week. And in this one, he will take heed to one of his lessons and not throw an interception. The Miami Dolphins have had issues stopping the run. Chris Ivory is definitely not something they will want to see. Look for the veteran running back to go for 120 yards and one touchdown. The Jets have been erratic the last few games. Expect their quarterback to lead them back going in the right direction. Ryan Fitzpatrick will throw for 250 yards and two touchdowns. The Dolphins will not be scoring more than 20 points in this game. They have been inconsistent and downright awful at times and the Jets are looking to atone for last week. Bad combination for Miami. The Cardinals have been a very explosive offense all season long. The 49ers have had issues defensively all year. Look for the Cardinals to potentially score 30 points or more in this one. San Francisco quarterback Blaine Gabbert has not been bad this year since he has been a starter. Look for him to have another solid day with 215 yards passing and two touchdown throws. The leader of the Arizona offense, quarterback Carson Palmer, will have at least three touchdown passes in the air in this one along with 300 yards passing. The Seahawks have a tough defense, but they have to face two tough wide receivers in Martavis Bryant and Antonio Brown. And unfortunately for Seattle, there is only one Richard Sherman to cover them. Expect Brown and Bryant to pick on Cary Williams and both will get at least 80-100 yards receiving and a touchdown apiece. The Seahawks will be without running back Marshawn Lynch for three-four weeks. With him gone, Thomas Rawls takes over the backfield for a while. And in this one, he will have a rough go of it. Look for him to only get 70 yards rushing and no touchdowns. Ben Roethlisberger has his best set of wide receivers he has had in his career and that will help him get over 300 yards passing versus the Seahawks defense. 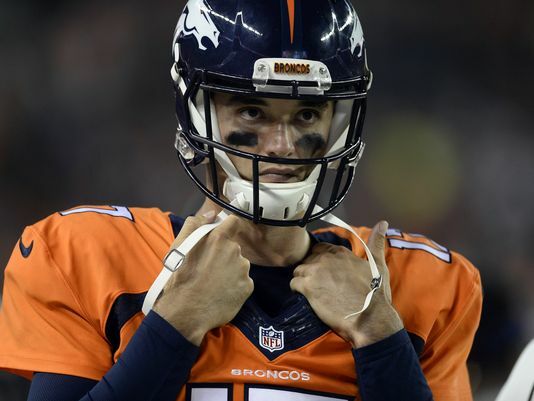 Brock Osweiler has been solid in his relief of quarterback Peyton Manning. He has been careful with the football and has seemingly been perfect for head coach Gary Kubiak’s offense. Expect him to play solid again as he will have no interceptions and one touchdown. Tom Brady has been on a mission this season, destroying defenses in his wake. In this game, he is up against his greatest challenge. And with that, he will be in for a rude awakening. Expect him to be sacked at least four times in this one. Expect this game to be a defensive battle. And with that being said, neither team will score more than 17 points. The Browns demoted Johnny Manziel and put Josh McCown back in the starting lineup. With that happening, look for McCown to throw for at least 300 yards and a couple touchdowns against the Ravens porous defensive backfield. Baltimore’s offense will have a new guy at the helm. Joe Flacco tore his ACL in last week’s win, so backup Matt Schaub will be the starter. With that being said, look for Schaub to continue his streak of throwing touchdowns for the other team. The Browns will pick one off and run it back for a touchdown. This game will not be entertaining. I know this is about proclamations and not statements, but it had to be said. This one may be like watching the Keystone cops. Week 12 of the General Proclamations is in the books. Let the games begin! Week 11 is upon us and there are plenty of teams still trying to figure out who they are. This year has seen the most teams with a losing or even record in 25 years and there is no answer as to why. The only thing that has shown up so far is the uncertainty from week to week of each team. There have only been a few teams show up each week to make it happen, and their names are the Carolina Panthers and the New England Patriots. Heading into this week, both the Patriots and the Panthers have pressure mounting on them with the streak they both are on. Can they keep it up is the question for them? But for others, the question they have is can they put together two good games in a row. We shall see if that happens, but the performance of teams all depends on the performances of players and groups of players. Without further ado, here are the General’s Proclamations for Week 11. The Jacksonville Jaguars have been waiting on tight end Julius Thomas to break out. Well, this is the game it happens. He will have at least five receptions for at least 80 yards and one touchdown. The Tennessee Titans struggled offensively in the second half versus the Panthers. In this one, they will not have those kind of issues as they will top 20 points in this game. Jacksonville and Tennessee will have at least two turnovers. Both teams will make some mistakes and this game will show how far both have to go. The Lions showed some heart last week taking it to Green Bay at Lambeau Field. In this one, they face a Raiders secondary that can be had. And had they will be, as wide receiver Golden Tate will go for 100 yards receiving and a touchdown. Oakland is smarting from their loss to the Vikings last weekend. So in this one, look for them to try and get that right. And everything right about them involves quarterback Derek Carr. Expect the second-year quarterback to throw for at least 300 yards and two touchdowns. Detroit does not have a solid run game. And that will be displayed in this game as they fail to total 115 yards rushing as a team. Matt Hasselbeck is the starter at quarterback for the Colts as Luck is out injured. And with him, expect the offense to have a good time versus the Falcons defense. He will throw for 250 yards and two touchdowns. The Falcons have been inconsistent this year. But in this one, expect them to show and be led by their offense and wide receiver Julio Jones. Expect the outstanding receiver to have at least six receptions for 100+ yards and a touchdown. The Colts defense has not had many takeaways from their cornerbacks. Expect them to get at least one in this one from Falcons quarterback Matt Ryan. The Rams made the change to Case Keenum at quarterback. And with the Ravens coming to town, they could not have picked a better week to change the starter at that position. Look for the veteran quarterback to get at least 275 yards passing and three touchdowns. Not to be outdone, Joe Flacco is around in this one. And if he watched any video of the game the Rams had last week versus the Chicago Bears, he will be licking his chops. Expect him to get at least 300 yards and two touchdowns. Both the Ravens and the Rams are teams that like to bring pressure. The problem is the Rams are more suited to make the pressure happen. But nonetheless, the Ravens and Rams will find a way to get to the quarterback. Expect the Rams to standout though, as they will probably have 5 sacks as a team. Philadelphia will score over 25 points with quarterback Sam Bradford out. Backup Mark Sanchez will be the starter more than likely and his knowledge of the system will help him. Tampa Bay was not so hot offensively last game. Well, this game they will put the onus on running back Doug Martin. He will have over 100 yards rushing and 1 touchdown in this one. Both Philly and Tampa Bay will have at least two interceptions thrown. And one of them will go a touchdown in this game also. The Broncos will be without quarterback Peyton Manning this Sunday. And as a result of him being out, the Broncos will try to run the football more. Look for the running back crew of the Broncos to rush the ball 40+ times. The Chicago Bears have not figured out their rushing game. in this game, they still look befuddled as ever as they rotate backs in and out for a total of 100 yards or less. The Broncos and the Bears will be an exciting game. Despite the star power missing, this one will be worth your time. The Jets got outplayed last week versus the Buffalo Bills. Well, don’t expect the same this week as the Jets will come to play. Look for quarterback Ryan Fitzpatrick to throw for two touchdowns and over 220 yards. Houston wide receiver DeAndre Hopkins has got it going this season. And in this one, he will face some stiff competition. Look for him to have a tough day of it in this one. He will get a little over 60+ yards receiving while not scoring a touchdown. The Panthers gave up next to nothing in the second half of their game against the Tennessee Titans. Expect more of the same thing this week, as they will keep the Redskins under 15 points. The Redskins have not had a great season, but it has allowed them to have a good look at Kurt Cousins as their starting quarterback. And as of now, the jury is still out. He has been inconsistent all season and in this one, he will be consistently bad. Count on him to throw two interceptions. Cam Newton was solid throwing the football last weekend. Expect him to continue to throw well, as he will complete throws at a 65% clip in this one and have at least two touchdown passes. Tony Romo will be returning in this one reportedly. So expect the offense to come to life and put up at least 25 points versus the Dolphins. When the offense comes to life, look for wide receiver Dez Bryant to get it going. Somewhere around 5 receptions for 85 yards and a touchdown would be a solid outing for Dez. The Miami Dolphins were able to win last week. Going into this one, they will have to play perfect to enhance their chances. Well, they will definitely have some turnovers in this one. Expect two of them and one will happen in Cowboys territory. The Chiefs have caught a little fire as of late. Expect them to continue playing well, as Alex Smith will go for 225 yards and one touchdown on the way to playing smart football. The Chargers have been struggling this season and they will struggle even more without wide receiver Keenan Allen. Look for quarterback Phillip Rivers to have only 200 yards passing and one touchdown pass as San Diego’s offensive issues continue. Kansas City has one of the best pass rushers in the NFL in Justin Houston. Expect him to get loose on the San Diego offensive line, getting at least three sacks against them. The Packers have been struggling recently and part of that has been their offense. Look for them to get some sort of rhythm this game, as Aaron Rodgers gets 300 yards and two touchdowns. But not to be outdone, the Minnesota offense has some things going for them(mainly Adrian Peterson). The difference between Minnesota and Green Bay is how they do it. The Vikings get it done on the ground, but they may find a tough time doing so this week. Look for them to struggle running the football all game. The Vikings and the Packers will not score over 23 points. Look for a physical football game. The 49ers made a change at quarterback and that, along with other things, helped them win versus Atlanta. Expect a tougher game in this one, as the 49ers will score less than 20 points. The Seahawks offense has been interesting to say the least. Expect them to go to running back Marshawn Lynch to give them consistency in this one. He will go for at least 100 yards rushing and one touchdown. Quarterbacks Russell Wilson and Blaine Gabbert will throw at least one interception apiece. And the tough part of this for them: it will be a costly pick that catches up with them. This is a game that quarterback Carson Palmer is looking forward to. He will be taking on the team that drafted him and the team that he asked to be traded from a while back. I think he comes out fired up and that will carry him throughout. Look for him to have at least 300 yards and one touchdown. The Cardinals running game has not been bad at all this year. And in this game, expect it to keep on going. Running back Chris Johnson will rush for 100 yards and a touchdown. The Bengals will not be an afterthought in this one. They will play hard and will be looking for revenge. Look for quarterback Andy Dalton to throw for 250 yards and one touchdown. The Patriots have been on fire offensively. And there is no need to think they will cool off anytime soon. But with the loss of Edelman broken foot, someone has to step up. Look for wide receiver Brandon LaFell to step in and produce 100 yards receiving and one touchdown. Buffalo finally got the production out of running back LeSean McCoy that they thought they would get form the beginning. And coming off that successful run versus New York, expect him to build. Look for close to 100 yards and one touchdown. The Bills and Patriots will not be the blowout it was the first game. Expect the winner to be within 4 points in the fourth quarter. The proclamations are in for Week 11. Enjoy the games!